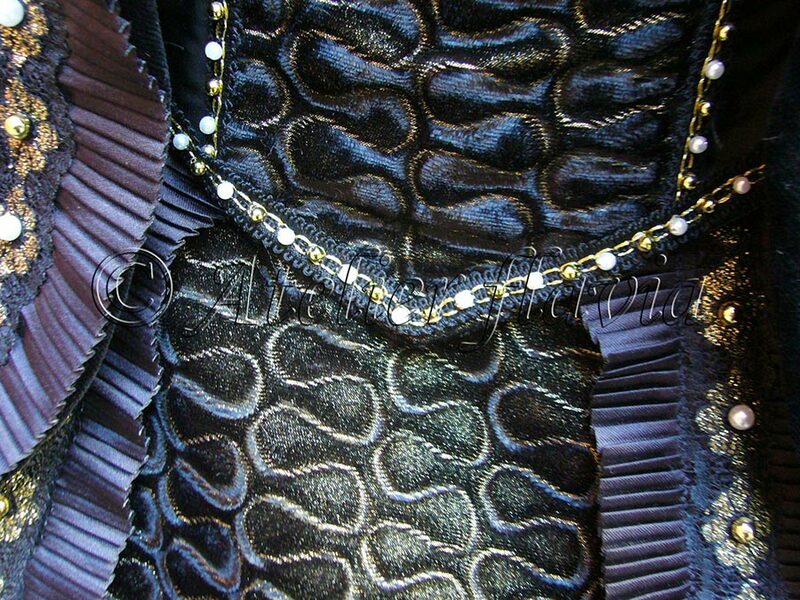 Corset: polyester textured velvet, polyester lamé, polyester satin, polyester and lurex passementerie, plastic pearls, polyester satin lining. 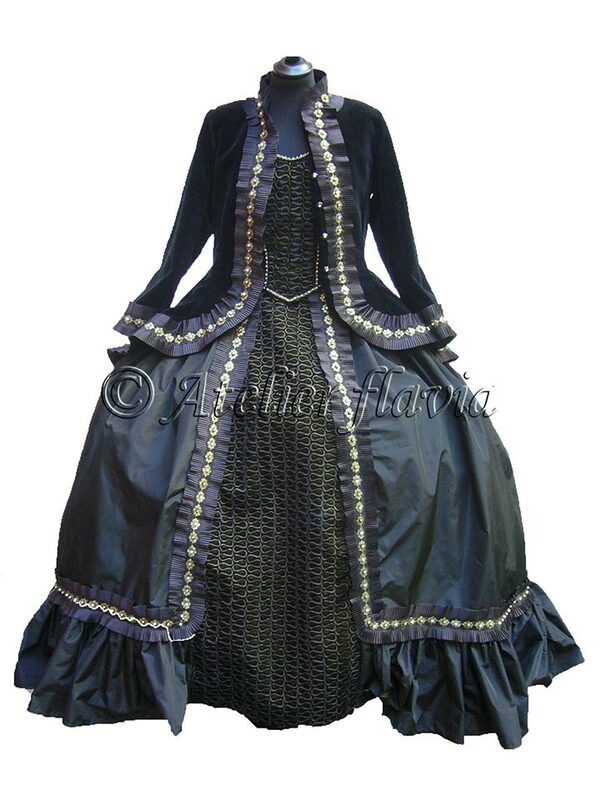 Skirt: polyester textured velvet, polyester lamé, polyester satin, polyester satin ribbon, polyester and lurex lace, plastic pearls, polyester satin lining. 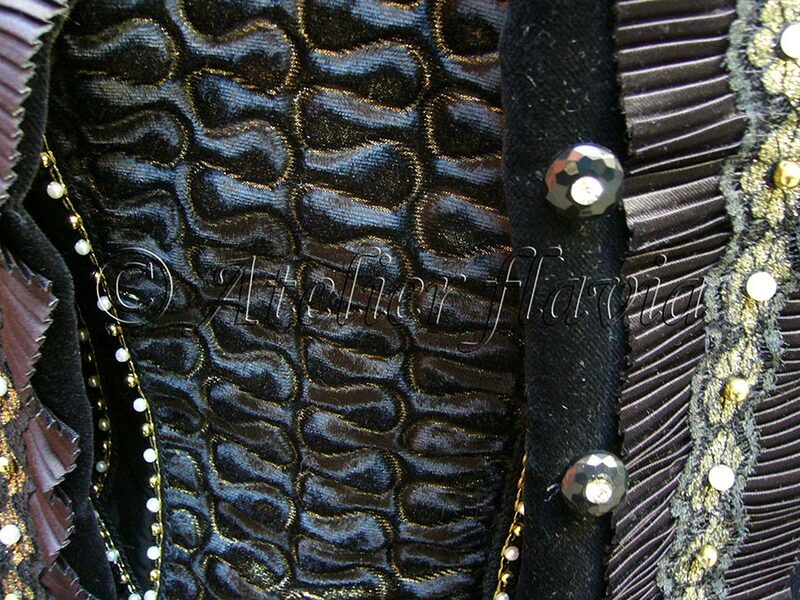 Little jacket: cotton and polyester velvet, polyester satin ribbon, polyester and lurex lace, plastic pearls, metal buttons, polyester satin lining. Tricorne: polyamide and lurex mesh, metal and crystal application, wool felt base. Handbag: polyester satin, polyester satin ribbon, polyester and lurex lace, plastic pearls, polyester satin lining. Accessories: Little jacket, Tricorne, Handbag, Cage.